Even if you don’t know the name Carole Bayer Sager you almost certainly know her songs. 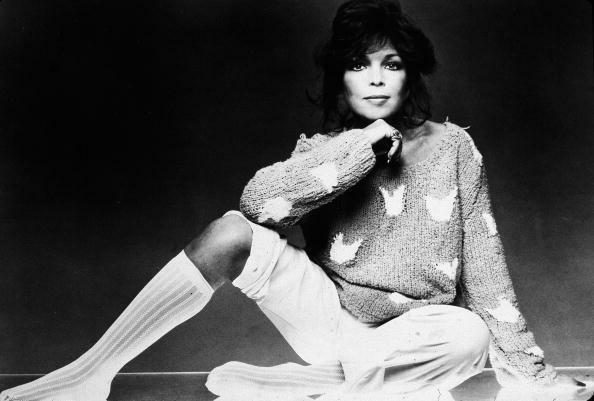 Her hits are numerous and include “That’s What Friends Are For”, “Groovy Kind Of Love” and “Nobody Does It Better”. Bayer Sager has been recorded by the likes of Michael Jackson, Barbara Streisand, Whitney Houston and Carly Simon. In her new memoir, “They’re Playing Our Song” she sets out to reveal another side to her decades of success – a deep seeded insecurity that started as a child and continued into her adult life. Carole Bayer Sager talks to Diane about writing songs and how the complicated relationships in her life informed her lyrics. Carole Bayer Sager Oscar and Grammy award winning songwriter; author "They're Playing Our Song"
MS. DIANE REHMThanks for joining us. I'm Diane Rehm. Carole Bayer Sager has been writing songs for more than a half century. She wrote her first hit, "Groovy Kind of Love," while still in her first job as a high school teacher. In a new memoir, she talks about her many songwriting collaborators, the hits and the failures and she reveals how she's been plagued by and coped with deep fears and insecurities that began as a child. MS. DIANE REHMCarole Bayer Sager's new memoir is titled "They're Playing Our Song." She joins us from Los Angeles. And throughout the hour, we'll welcome your questions, comments, call us on 800-433-8850. Send us an email to drshow@wamu.org. Follow us on Facebook or Twitter. Carole, it's so good to have you with us. MS. CAROLE BAYER SAGERAnd I'm very happy to be here. Hi, Diane. REHMThank you. You know, you start this memoir with a very, very moving few paragraphs about your mother. Why do you think you needed to start that way? REHMHere's what I don't understand. What if she hadn't been so critical? What do you think you might have done instead? SAGERI might've been content and I might not have had the drive and the need to be seen and to be heard and so I know I was teaching school because my parents said, whoever heard of a songwriter that's famous? Do you know any? And I said, no. And they said, well, we want you to teach school. I might still be teaching school. I mean, there was this intense need I had, and I think it came from feeling invisible to my mom or less than visible, to be heard and I did have a gift early on for writing songs. SAGERI knew that in camp when I used to change the songs and we'd sing them at campfires. So the talent was innate and the drive, I think, came from this intense need to have somebody acknowledge me as, oh, that's good, Carole, because I didn't get a lot of that. SAGERAnd look at you now. REHM...exactly the same thing you are. SAGERYes, I understand it perfectly. I wasn't allowed to express myself in any way that I feared wouldn't please my mom so here I am expressing myself in song. REHMExactly. Why do you think it was that way in your household? What had your mother herself experienced that perhaps she then passed to you? SAGERYeah, you're right. It's really just a -- it's who's going to break the chain. My mom had a terrible upbringing. I write a little about it in the book. My mother was the last of four children and, in fact, her mother, which would've been my grandmother, told her at a very early age that she was her living abortion and told her that I was on the table and I was about to get an abortion because I didn't want any more children and I got scared. And I jumped off the table and I went home so you're my living abortion. SAGER...either feeling love or you're not feeling it. REHMCarole, what about your dad? SAGERMy dad was 22 years older than my mom and he was very loving and he seemed to have a wonderful ability to relate to children. But my mom wanted to be the child and so the unfortunate thing is my dad, who was very loving, I remember being like four years old and sitting on his lap and my mom came in the room and I just jumped up like a frightened dog or something and just jumped out of his lap because I didn't want her to get angry because she'd get jealous if I was getting love from him and she felt she wasn't getting enough. SAGERSo it set up a triangle that was very unhealthy and which all I wanted was to be in between them holding both their hands and feeling like I had a mommy and a daddy that loved me, you know. But I couldn't take his love in because she'd get angry. And I wanted her love, but she didn't give it so that kind of left me a little bit without. REHMThe other thing you and I have in common, my father had his second heart attack when I was 12. REHMYours when you were 13. SAGERMy father was -- second. My first one -- was first when I was 10. And so consequently, all my fears now had a real basis because I had the fears anyway, but growing up in New York City, every time I heard an ambulance I thought they were coming for my father. So he continued to have heart attacks. He had three. It was way before they knew about bypasses or even diet and eventually, he died of heart disease. But yes, it puts a lot of fear in, you know, and it allows that fear you already have, as I did, to just have one more thing to be terrified about. REHMAfter he died, what was the relationship between you and your mother? SAGERWell, it's a good question, Diane, because it changed dramatically. The minute my -- well, a series of things happened at the same time. "Groovy Kind of Love," my first hit, was climbing up the charts. My dad had it hung up in his hospital room with a big circle around it. And at the time that he died, I had a number one record and my mom, suddenly, there was no one to compete with for my dad's love because he was gone so she went from being the critical mother to being sort of the proud mother and eventually being the mother that I took care of for the rest of her life. SAGERIt's really odd, isn't it? REHMIt sure is. How old was she when she died? SAGERWhen she died or when my dad died? SAGERShe was 86 when she died. She spent her last year with us, my husband Bob and I, in our home. And it was a very revelatory year because I realized all she ever wanted was my love and that I had moved 3,000 miles away to California to get away from her and to get away from her -- what felt like me overbearing presence to me. And when I was 100 percent there for her in the last year of her life and when I made a kind of pact with myself that no matter what she said to me, no matter buttons she pushed, I was going to try to be unconditional in my love, everything changed. SAGERShe became the mother I always wanted, although she was ill. And she apologized to me profusely for her limitations when she was younger and how sorry she was that she hurt me and I believed it all because it was coming from a very authentic place. REHMDid that truly change your feelings for her? SAGERWell, it certainly changed them at that time. I felt a lot of compassion for her and a lot of love. Of course, I can also say she was this tiny little figure in her bed dying of cancer, so, you know, she wasn't as all powerful as the lion in "The Wizard of Oz" or something, you know, the wizard. You know, I mean, suddenly, there she was, this small little figure that I had made so huge. It was a real shift. REHMCarole Bayer Sager, her new memoir is titled "They're Playing Our Song." REHMWelcome back. If you've just joined us, Carole Bayer Sager is with me today. She's actually out in Los Angeles, but I can see her beautiful face on Skype. Her new memoir is titled, "They're Playing Our Song." She talked a great deal in our first segment about her mother and her father. But, you know, Carole, I'd be interested to know whether either one of them or both of them were musical and whether that's where you got some of your talent? SAGEROh. Well, my mom had no musicality whatsoever. She couldn't carry a tune. My dad was able to pick out any song by ear on the piano. But not, you know, he didn't -- with one finger. Not playing with both hands. But he certainly -- they both had a tremendous love of music. Show tunes played in my early years throughout our home. My mother loved the great shows and she loved Judy Garland and she loved Shirley Bassey and they just were blaring throughout the house. Any I knew, as a youngster, the music and I knew the songs to every major Broadway musical. And so the love of music was there. SAGERAnd then I began taking piano lessons when I was quite young. And I was good. And that allowed me to go to a special high school. It's now the School of Performing Arts, but it was originally Music & Art high school in New York. And it was there that I met a girlfriend, Sherry Harway, and she wanted to write songs too. And so we would race home, do our homework and then just write all the rest of the day, to try to write songs as good as the ones we were hearing on the radio. REHMAnd I gather that hearing "Somewhere" by Leonard Bernstein and Stephen Sondheim as a kid really helped you understand that you wanted to write music. SAGERYes. And it also -- that particular song resonated with me, who was always looking for that place of safety and didn't have it in my real life yet. And so -- I'm jumping ahead, but I think it's why, many years later, I wrote a song with David Foster called "The Prayer," sung by Celine Dion and Andrea Bocelli. And I think, of every song I've ever written, "The Prayer," which was never a hit but people just picked it up and took it to their hearts, it was a prayer for safety in an unsafe world. And I think that's probably what I felt most of my life. And I think that's why other people relate to it here in their hearts, you know? REHMCarole, you don't know this, but you wrote one of my very favorite songs. I'd like to hear it now. SAGERWant to give you. It's only a heartbeat away. Love. Not my key, but, in the morning. SAGERI touch love. Be so much love, keeping me warm night and day. Miles and miles of empty space. You really want me to sing this. REHMI do. I love hearing you. SAGERTelephone won't take the place -- your smile. It's cold out, but hold out, you do like I do. SAGERThe funny thing about that song, Diane, is Albert Hammond, the composer, couldn't find his lyricist who was in New York. I don't know what happened to his usual lyricist. And Warner Chappell, who was my publisher at the time, called me up and said, there's a guy in town. He's a really good songwriter. Will you try to write a song with him. He needs this to complete his album. And I said, sure. And he came over with a guitar. And he was very nice, very professional. Played me the melody. He had the whole melody. I wrote the lyrics in record-breaking time for me. SAGERAnd I just dismissed it as, well, that was easy and probably not very good. Because anything that comes that easy, you sometimes are dismissive of. I am. And he left, content and happy with the melody. It became a number one record all over the world. And then, we were sued by Leonard Cohen, a man who I must say I wasn't aware of at the time, a poet. He'd written a song called "Famous Blue Raincoat," which had a very similar melody. And the truth is, I wrote none of that melody. I wrote all of the lyric. But on the sheet music, instead of writing -- instead of having it read, music by Albert Hammond, lyrics by Carole Bayer Sager, it just said words and music by Carole Bayer Sager and Albert Hammond. SAGERAnd I just -- I didn't want to then, you know, go against Albert and claim, wait a minute, I didn't. So we just, I think we ended up giving a third of the publishing to Leonard Cohen. I had never heard "Famous Blue Raincoat" in my life. But it's an interesting story. I hope Leonard likes the song. REHMWell, I sure do. I have to tell you that it is just beautiful. The one I'm fascinated by is "Nobody Does It Better," because you came up with that title, even before you had lyrics or anything to go with it. Let's hear a little bit of that. REHMAnd that is the wonderful Carly Simon singing. SAGERYes. A good friend who I eventually got to write songs with later. But I had just met Marvin Hamlisch, a great, great composer that -- he'd already won three Oscars and a Tony Award -- three Oscars for -- in the same night -- for the song, "The Way We Were," by Barbra Streisand, the theme to "The Sting," the best score for adapted screenplay for "The Sting," and best original score for "The Way We Were." So he was that guy that had won three Oscars, a Pulitzer Prize for "A Chorus Line," and we were supposed to write a song for an ill-fated television series. And he was -- Marvin was very, very hyper. And he just talked a mile a minute. REHMYes. I had him on once. I remember that. SAGERYes, he was -- he was great. But he said, well, you know, if we don't write a song today, it's okay. I'm going to be back sometime. I have to go to London. I have to score the James Bond movie and, you know, whatever. We'll get together at some point. And I said, oh, I love James Bond. And then it just came to me. I said, well, if I was going to write a James Bond theme, I think I'd call it, nobody does it better. And he said, oh. Oh, I like that. And he went to the piano and he was facile. He immediately wrote the music to the chorus, "Nobody Does It Better." Makes -- because -- there were no lyrics yet. But he said, well, I'm going to London. I love that. I love that. SAGERI have to convince the Broccolis, who were the producers of the Bond film to let you do the lyrics. Because they always wanted lyricists who's already written for film and I had not. And sure enough, I got a call from him. They like the title. They're going to let you do the -- they're going to let you write the words. Come on. Hurry up. I'm in London. I need them. And so it was one of the first lyrics I wrote without the composer in the room playing it for me. SAGERI had a little tape. And I played it over and over until he was finally happy with the lyrics. And thus, "Nobody Does It Better." SAGERI always loved the fade of that song, because Carly adlibbed, James, you're the best. And I always wondered, was she aware enough that she was singing to James Bond? REHMThat's great. That's a great story. Were your parents supportive of you? Because, as a little girl, you mentioned, at camp you began writing these lyrics. Were your parents supportive then? SAGERWell, I think they liked the fact that the counselors and the people that ran the camp would write to them that their daughter had a lot of talent. So, yes. My mother, although she was critical of me, was also supportive of my desire to write songs. My father, unfortunately, was already gone when "Nobody Does It Better" was a hit. But I felt a support from my mother in that area. And of course, later on, as I became really successful, my mother, if she could have, would have put a straw somewhere, you know, somewhere in my vein and just kind of lived off of my life. Because she began to enjoy my life so much that she, you know, I -- and I fed her in a way. SAGERI mean I took her everywhere with me. And I had so many fears and anxieties as a young girl that stayed with me through my early adult years and even mid-adult years, that I wasn't always present in my own life. I don't know how to explain that other than to say, for example, after "Nobody Does It Better" and I did a few albums and they asked me to go to England and perform. And I did. I went to England. Of course, I think I took a boat because I was so frightened of flying still. SAGERAnd I had a great success at the Drury Lane Theatre. And my mother said to me, oh, that was wonderful. Don't you remember when Gene Hackman came back and told you how much he loved you? And I said, and honestly I meant -- I said, Gene Hackman was there? SAGERSo I blocked out a lot of the joyful moments of my life. But my mother didn't. She was having a ball living through my life. You know, it's unfortunate. Because some of the messages we get when we're children, we internalize them. And those messages -- you're too fat, you're not pretty enough, you're not smart enough, you're not this enough -- go into our heads and they become louder and angrier than the message even was. REHMYou're absolutely right. And you're listening to "The Diane Rehm Show." We have a number of people who'd like to call in and ask a question. Let's go first to Lansing, Mich., and to Lance. You're on the air. LANCEHello. Thank you for having me on. LANCESuch a pleasure. So my question would be, as a songwriter myself and thank you so much for sharing these personal details of your story, because I kind of relate to those stories as well, you know, internalizing kind of these lies about who we are and taking so long to overcome them. There -- that's definitely a struggle. My question is, when you're writing music and you're writing songs, do you write songs just as an honest, genuine expression of how you're feeling of, you know, what comes up artistically? Or do you strategize to create a song that is universally appealing, that may or may not be how you feel or may or may not be an honest interpretation of your artistic expression, but rather to, you know, win the hearts of a large audience? SAGERThank you for your question. I think almost all of my writing is completely authentic from whatever it is I'm feeling. I've never written a feeling I didn't have, with the exception of when I was asked to write for certain motion pictures through the years. And there my responsibility was to serve the film and not what I'm feeling. REHMGive me an example of that. SAGERWell, for example, on -- even on that very first James Bond song, "Nobody Does It Better," it wasn't -- I didn't have that love in my life at that moment. And I didn't have a person that I felt that way about. But I thought about James Bond and I thought about, you know, what would be the lyric that would describe James Bond, since it's a song they play over the opening credits. But all through the years, that was -- I mean, the songs I relate to the most are the ones that came from my own feelings and hoping they would touch the hearts of other people. SAGER...and being creative saved my life. And it was when I was outside of that lane that I got a little messed up. REHMCarole Bayer Sager, and her new memoir is titled, "They're Playing Our Song." Short break here. And more of your calls when we come back. Stay with us. REHMAnd welcome back. Carole Bayer Sager is with me, and we are talking about her brand-new memoir, all about her childhood, her relationship with her parents, her love of music. It's titled "They're Playing Our Song." Let's go to Stacy in Atlanta, Georgia, you're on the air. STACYCarole, I'm embarrassed to tell you, I am the biggest, old-fashioned Broadway fan. I just looked up all of your songs, and I am your biggest fan and have been for many, many years. STACYAnd I'm literally -- yes, and I just learned that. I'm sorry, I didn't know the woman behind the music. I'm also holding in my hand, I've just pulled over, "They're Playing Our Song." If have the CD in my car. STACYAnd I had no idea. I can't even express. My question -- oh sorry. SAGERWell you know -- go ahead. SAGERNo, I was just going to say that that musical was loosely based on my relationship with Marvin Hamlisch, although Neil Simon wrote it, so I always say, well, that's why it had a happy ending. STACYI had the fortunate opportunity to see Marvin Hamlisch when he was here recently in Atlanta. My question to you is, again, I'm an old-fashioned Broadway fan. I know, you know, Disney and some other entertainment companies seem to have come in and shifted the focus of Broadway. I'm curious what you're haring or seeing or your thoughts about where Broadway is going. You know, we're also -- have a younger generation that needs to be razzled and dazzled. Just curious to hear your thoughts about where it's been and where is Broadway going. SAGERWell, I think Broadway is still one of the few places that if you are a songwriter, you -- with a great story, you can still have great songs. I mean, when I think of -- I know this isn't a new musical, but when I think of "Les Mis" or any of Andrew Lloyd Webber's songs. But I also think Broadway, like everything else, is listening to and reflecting the times that we live in and therefore the brilliant "Hamilton," which is, you know, rap and brilliant rap. SAGERI mean, I had to get actually -- you know they give you those headphones if you need them, and I -- because they rap so quickly, I actually bought a pair, and I heard every word perfectly and thought this is brilliant, and it's certainly not anything I'm able to do. But I think there is room on Broadway, as you see with all of the great revivals for any kind of music, as long as it's great music. REHMSo you do not think that Disney features are going to take over Broadway? SAGERNo, I don't, I really don't, and I think only so many of those are going to work, and then they'll stop working. And in the case of some of them, like "The Lion King," I thought that was brilliantly done. So anything that's done brilliantly I applaud, and the rest of it is not as good, you know. REHMCarole, I do want to ask you about your second marriage to Burt Bacharach because you write about the marriage, what it was for you and what happened at the end. SAGERWell, it wasn't the happiest marriage for me because I really never felt secure in it. Now part of that is bringing my own insecurity into the relationship, and, you know, I often think, Diane, that if people looked at my life at that time, they would go wow, look at her life, I'd take that life in a minute, look at, she's married to Burt Bacharach, she writes these fantastic songs with him, and wow, what a life. SAGERAnd one of the things that I wish the takeaway would be from the book "They're Playing Our Song" is that one should never compare their insides to anybody else's outsides because I don't really think you'd want to be in my shoes for a lot of that relationship and marriage because I had so much fear, still, and I had so much insecurity, and Burt was so handsome in my eyes, and I felt so much less than. SAGERAnd again that whole thing came up for me. It was sort of like my mother again. It was like did he want me to be thinner, taller? In fact, one -- at one point early in our marriage, I came downstairs in a little skirt and a T-shirt, we were just going out for a quick dinner, and I usually wear jeans, even to this day, and Burt said to me, in that voice that I still hear in my head because he wrote in the rhythms of which he wrote his music -- he spoke in the rhythms in which he wrote -- hey, Carole, are you going to wear that skirt out? I said, well, I thought so. Hey, you know, you kind of look, you look longer in pants. I think you should maybe put on a pair of jeans. SAGERSo I went upstairs, and I changed immediately. I mean, there was no self there to say, well, wait a minute, I like this skirt, you know, so up I went, put on a pair of jeans, and I write in the book that one remark from Burt covered a body part for the rest of my life because, you know, I thought okay, he knows better, and plus he was married to Angie Dickenson, who had these long legs that were insured for I think something like a million dollars at the time. SAGERAnd that's how insecure I was, though, and so we were in the music room all the time, we wrote some great songs together, I'm grateful for those songs, "That's What Friends Are For" and "On My Own," and "Arthur's Theme," we won an Oscar, we won a Grammy, but -- and our greatest collaboration our son Christopher, that's the best thing that came out of the marriage. Christopher is 30 today. SAGERBut we divorced when Christopher was five, and Burt had found someone else that he preferred to me. I was 16 years younger than Burt. He found someone 15 years younger than me. So he just moved along, and I found it very difficult to move my life along. That was one of the darkest periods in my life is when Burt left. SAGERBut I am a survivor, and I did put one foot in front of the other and made believe, you know, that I was alive because I was in some way. REHMI must say the way he revealed himself or in fact did not reveal the truth to you, simply saying at the bar, you know, that he needed some time to himself, he needed some space without confessing to you until the very end. SAGERWell, there was a year that I didn't know there was another woman, and I guess I didn't want to know because I'm not stupid, but I just didn't ask that question that anyone would've asked, you know. He was -- I thought he was having a midlife crisis a little late. But the truth is what I -- what I had difficulty with, and I understand it's Burt's process, is that he couldn't just say I'm not happy, he'd say today I feel like I'm like 40 percent in the marriage, but 30 percent of me would like to go skiing. SAGERAnd I'd get these daily weather reports of what percentage of him was in and what percent was out, and it made me a little bit crazy, I think. REHMBu the song you wrote together, "Arthur's Theme," just extraordinary. SAGERYeah, that was a good one. That was Oscar-winning. SAGEROh thank you, Diane. Thank you. Well, I think that's where our marriage was a success. Our marriage was a success in our collaborations although writing with Burt was difficult. SAGERHe took a tremendous amount of time deciding if he liked this chord or that chord, and he didn't really want my opinions, but he wanted me in the music room sort of as a muse as he processed it. And he was the only composer that I ever wrote with who said, you know, because some -- I am musical, so sometimes I'll sing a line of a melody, and Marvin will go, well, that's good, or Peter Allen would go I like that, and sometimes they'll come up with a lyric, and I'll go, that's fantastic. So there's that give-and-take that makes a marriage really. SAGERBut Burt was very clear, this is my melody, and do not change one note. And just give me the lyrics that fit. And I had never written with anyone who -- and then again, though, I mean, Burt is a musical genius, so maybe that's partly why. He knew when his melodies were, you know, complete. And so it was a different process, it was a very lengthy process, but -- and I also felt often that if I didn't write those hit songs, would he even be with me, which is a song -- there's a song in "They're Playing Our Song" called "If You Really Knew Me," which says does the man make the music, or does the music make this man. But you could change it to woman, you know. SAGERDoes the woman make this music, or does the music make this woman? And am I everything I thought I'd be, you know? I always questioned did he love me because of my writing, or did he love me, and I guess I found out. I don't know. I don't know. REHMDo you really think, do you really conclude that he loved you because of your lyrics? SAGERHe loved me because at that -- I don't think he thought of it that way, but Burt, Burt needs what he needs at any given moment, and his music came first in his life. That I believe. And he had lost touch with having hits. He was doing a lot of performing, and he saw me. I think -- I think he liked what he saw, I think he liked me, but I also think he thought I was maybe the person who could bring him back to writing hit songs again, which in fact happened when we got together. SAGERAnd I think that was a big part of his -- I say to people, I met him on the Mike Douglas show, and he -- I don't remember if he asked me did I want to have dinner first or if I would like to write a song with me, but he asked me both questions, and I think that's part of the problem. If I knew which one asked me first, I'd better define the relationship. REHMI think you must have music playing in the background. Do you? REHMYeah, I was hearing something else, but that's fine, not to worry, and you're listening to "The Diane Rehm Show." Let's go to Jean in Philadelphia, you're on the air. JEANHi, thank you so much for taking my call. JEANMy mother decided, I think soon after I was born, that I would perform. My theory is that she wanted to as a child, and her family never really -- well, they actively discouraged it. But because of that she kind of became my first manager, and now I -- now sometimes I -- all the time when I call her, it's always very logistical, and I have these memories of her saying I need military discipline, I need discipline, I need to look different, I need to do these things. JEANAnd I'm young, I'm 25. I -- if my career keeps going, I'd like for it to continue, but I also want to reconcile with my mother. I just basically -- I wish I could call her, and, you know, I don't really have a loving mother there, and I don't know how to say that to her. But when I heard your story -- my mother was also the last of her siblings, but she had 10 siblings, and I -- I don't know how to say it. It seems so simple. I don't know how to say it, and I was wondering if you had any advice on that front of it's just something that's meant to work out because I'm also grateful that I know that it's because of her that I have this skill set. SAGERWell my answer is, one, I'm sorry, but I feel like it will work out when it's supposed to work out, but in the meantime, do what it is you really love, and if you find a time where you can talk to your mom and say how you feel, I think it will -- even if she doesn't understand it, you'll feel better for having been able to say it if you can say it with love. REHMCarole, one of our callers wants to hear your thoughts about Henry Mancini. SAGERHenry Mancini was one of the nicest men I've ever met. He was a brilliant composer. I got to work with him only once, when he called me to write the lyrics for the movie -- for a theme from the movie "10," that was when Bo Derek came out of the water looking like oh my God. SAGERAnd so I -- I met with him, and we wrote this song, "Don't Call It Love," and I -- I just never met a more gracious, brilliant, sweet, sweet man who died way too early. REHMHow old was he when he died, Carole? SAGERI'm going to guess and say that I don't even think he was much past 60 at best. SAGERTell me how you're feeling about yourself these days. SAGERThese days, I'm glad you asked, I'm feeling grateful, I'm feeling blessed, I'm feeling alive, I'm feeling like if you work on yourself long enough, and you do little things that you feel good about every day, eventually you'll have the self-esteem that you didn't have when you were a little girl or even a young adult, and that's what happened to me. SAGERAnd also I met a man who was finally a grown-up and who loved me and didn't care what I wrote or what I didn't write. But I think it comes really from putting your foot in front every -- one foot in front of the other every day and doing something that makes you feel good about yourself and doing something for someone else and getting out of yourself. And eventually like me, I can honestly say today that I finally am in my life, I love my life, and I hope that my book can give hope to some of you who are having difficulties today. REHMCarole, that's a beautiful note to end on. Thank you so much for being here today. SAGEROh, it was a pleasure, Diane. Everybody should get out and vote. REHMAbsolutely. Carole Bayer Sager, her new memoir is titled "They're Playing Our Song." Thanks for listening, all. I'm Diane Rehm. To Impeach Or Not To Impeach? Tuesday, Apr 23 2019Following the release of the Mueller report, that is the question for Democrats. Friday, Apr 19 2019Diane leads a panel discussion about Jacqueline Woodson's memoir in verse, "Brown Girl Dreaming," winner of the 2014 National Book Award for young people's literature.